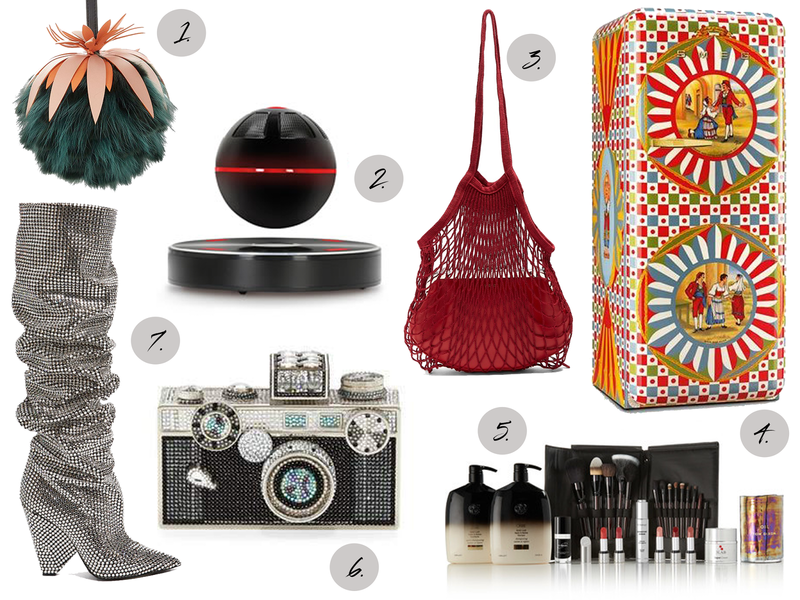 Following on from my previous post and gift guide, a continuation of festive gift ideas part two. Because curating an entire list of twelve topics and with my tendency to ramble called for separating such a post into two parts. 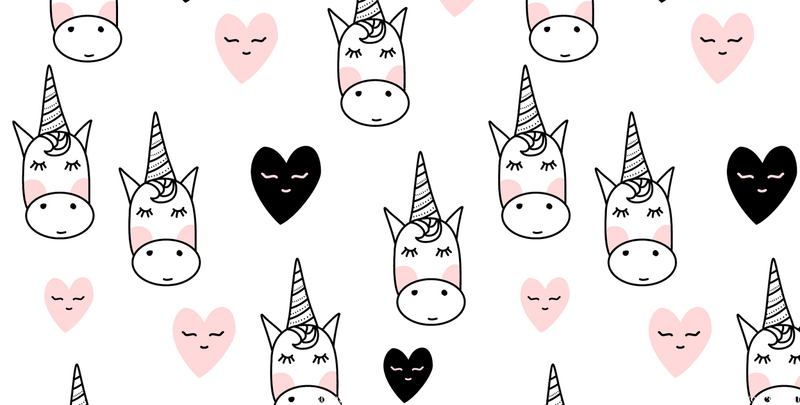 Unicorns please. Because nothing screams individuality and creativity quite like this mythical creature and it’s association with everything psychedelic. They awaken our inner child, that playful and fanciful side we generally tone away and shy from. Rainbow hues and vibrant radiance bring nothing but joy to young and old. And being incredibly du jour right now, the selections of unicorn inspired pieces are truly endless. From pool floats to make up sets, shower caps and coasters. Go on and gift someone some shimmery magic to carry them through to the New Year. 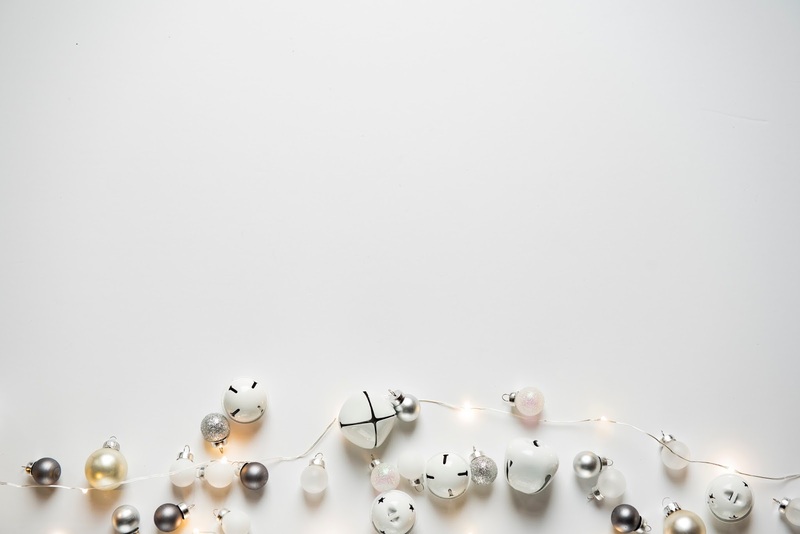 Shop all things fairydust and unicorns in my gift guide below. More specifically slides. That new “ugly it” sartorial piece that rivals those infamous sweaters/t-shirts donned at this time of year. Made famous by cool-girl Rhianna and her highly coveted collaboration with Puma, they arrived with an obnoxious bang approximately two seasons ago. And because comfort will be key this festive season, nothing screams such luxuries as this style of design. Perfectly bold and controversial, your family members won’t know what to think of your chosen footware. Luckily this is a trend that won’t be dating anytime soon, so you know such sartorial gifts will remain relevant and well worn. And so is an equally opulent case to store them in. I can’t tell you how much I adore these Samantha Wills jewellery chests. The personification of luxe, now available in white and black marble designs. 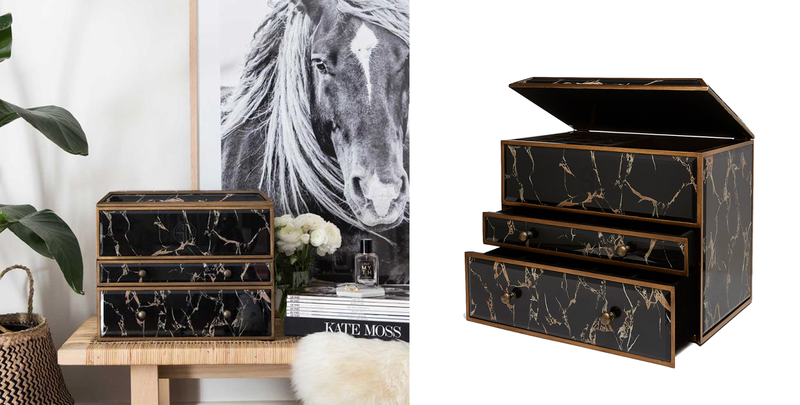 An irrefutably chic new addition to any vanity and home. Of course one is never limited to utilising such pieces with just their jewels. Try them as a stylish solution for storing bits and bobs like sewing materials or stationary. You can also shop even more jewellery chest designs and sizes here. For a most silly season why not pair it with frivolity. Crystal embellished sunglasses to humble headphones. Whip out the plastic fantastic and treat that special someone (or yourself). And if money is of no issue then go all out baby. Do as the one percent and splurge on your very own private island, or if anyone is mistaken, let them know how cool you are with this keychain. Following along from the whimsical and frippery, who wouldn’t want a burger shaped towel beckoning its human master from the floor? Or a cheeky, suggestive peach proudly showing off what Mother Nature blessed it with? Or maybe you know someone who has always dreamed of becoming a pizza. Or think they’d be more appealing dressed as one? It’s possible with this delectable costume. It is truly the gift that keeps on giving, and all minus those pesky calories. My gift guide for a range of food inspired pieces below. When it comes to a gift guides, on a serious note, it’s important to remember how wastefully materialistic our world is becoming. While splurging on frivolity is fun and at times fulfilling, why not do something truly unique but equally as powerful. Countless charities offer gifts that aim to give back to communities. For example Unicef where you can buy a special edition Monblanc for Unicef pen or a 200 polio vaccines to a community in desperate need. Or visit the Oxfam shop to purchase a range of ethical products like artwork or chocolate. metaphoric love child of debbie harry and stevie nicks. weaver of words. infatuated with shoes.